When someone passes away in New York without a valid will, certain property in their estate will need to go through probate. Statistics indicate that New York City Surrogate’s Courts heard about 11,500 probate cases in a recent year, with more than 40,600 throughout the state. Many of these cases occurred because a decedent did not have a will when they passed away. When this happens, their assets and property (with certain exceptions) will go to their closest relatives in accordance with New York intestate laws. These laws dictate the order of succession for the distribution of property without a will. The Surrogate’s Court will appoint an estate administrator (since there is no executor), and the administrator will have the task of distributing the estate to the proper heirs in line with the law. In some cases, intestate succession can be relatively straightforward, such as if the decedent had a spouse with no other descendants, so the spouse automatically receives everything. However, in other situations, the situation can become quite complicated, and the court may hold a kinship hearing. In this situation, heirs may need legal representation to prove they have a right to inherit property under the law. At the elder law firm of Goldfarb Abrandt Salzman & Kutzin LLP, we represent people during the kinship hearing process. We also assist clients in preparing comprehensive estate plans to prevent the need for intestate succession whenever possible. Contact our office if you need assistance today. Who Has the Right to Inherit? The law refers to relatives who are in line to inherit property through intestate succession as “distributees.” If someone dies and only has distant relatives, such as cousins, where the family consists of Holocaust victims, or other situations where identifying and locating distant relatives is necessary, the process can be far more complex. In cases involving more distant relatives, New York law requires documentation of the family at a kinship hearing. Anyone adopted into the family may also be a blood relative and potential heir, though foster children and stepchildren will not qualify under New York law. If someone claims the decedent fathered them outside of a marriage, they will need to establish paternity to receive their share of the estate. Kinship hearings take place at the local Surrogate’s Court that is overseeing the administration of the estate. Usually, in New York City, a Court-Attorney Referee presides over the hearing on behalf of the Surrogate’s Court Judge. In addition, other parties depending on the county and the circumstances of the case, may take part. Depending on the number of potential distributees, who appear and the complexity of the situation, the hearing may go on for several days. Each person claiming entitlement to a share of the estate must prove their blood relation to the decedent by a preponderance of the evidence. This means the court must believe it is more likely than not that a relation exists. Each claimant will try to meet this burden of proof by providing documents and physical evidence, as well as testifying under oath in court. If you are a more distant relative, such as a cousin of someone who died without a will but believe that you may be one of the closest surviving relative, a kinship hearing is your opportunity to prove your rights. Many people head into a kinship hearing believing it will be a simple matter. However, these proceedings can be surprisingly complex, and they involve strict Rules of Evidence and burdens of proof. 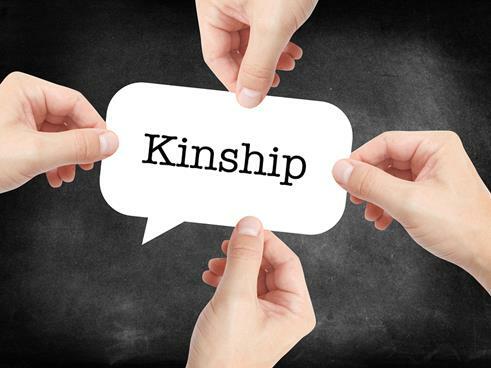 It is always wise to have the assistance of an experienced attorney with experience in kinship hearings to represent you. The lawyers of Goldfarb Abrandt Salzman & Kutzin LLP understand how kinship hearings work in New York. If you have an upcoming kinship hearing or if you want information regarding any other estate planning or elder law matter, call (212) 387-8400 or contact us online to schedule your consultation.